The 93 organizations that are participating! 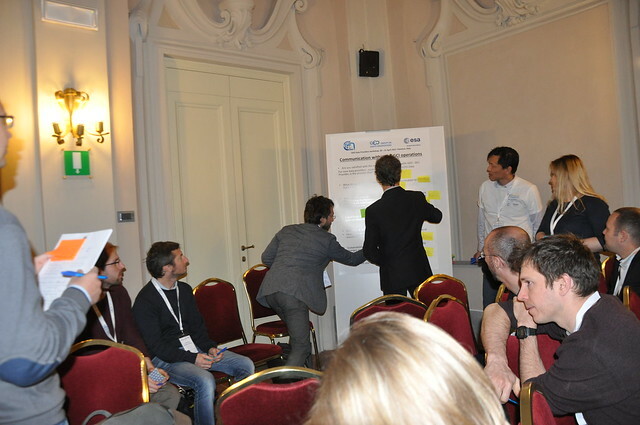 The First GEO Data Providers workshop was held as a side event at the GEO-XIII Plenary in St Petersburg, Russia, to strengthen dialogue with data providers and to improve the discoverability, accessibility and usability of GEOSS resources. Given the high level of interest and success of the initial workshop, a more comprehensive event of two days will be hosted by the Italian National Research Council (CNR) in Florence, Italy, from 20th to 21st of April, 2017, in collaboration with the European Space Agency (ESA). Grow the GEO Data Providers community and discuss key principles. Embrace the GEOSS Vision: To realize a future where decisions and actions, for the benefit of humankind, are informed by coordinated, comprehensive and sustained Earth observation information and services. Dialogue on critical elements like metadata, data quality and GEOSS Data Management Principles. Learn about GEOSS brokering agreements, how to contribute data and resources to GEOSS. Learn more about how data are used by users. Discuss Open Access –beyond discovery, data policy. Discuss benefits and issues for GEOSS Data Providers. The report of the 2nd Data Providers workshop can be downloaded here. GCI Community Application Story: GCI and ArcGIS Online interoperability, story map. (Roberto Lucchi, Esri). Introducing GEOSS Data Providers: summary report on Statements received and Data providers presence at the workshop. Erwin Goor, VITO as GEOSS Data Provider & Further Involvement, VITO. "Stories from Data Providers, their best practices and challenges in Data Management. Towards Sustainable solutions in providing data and maintaining over time and their impact on decision making." Presentations focused on how the Data Providers deals with Metadata, Tools, Standards, Open Data Access, Issues and gaps. Tim Duffy, "OneGeology as a GEOSS Data Provider", One Geology. Why we need APIs and VIEWS? 15:50-16:00 How GCI is making a difference in Decision Making: Call for Applications from the community, using GCI resources : Disaster, Climate, SDGs. The GEO-CRADLE Regional Data Hub tool: A vision for a regional GEOSS Portal, National Observatory of Athens (NOA).